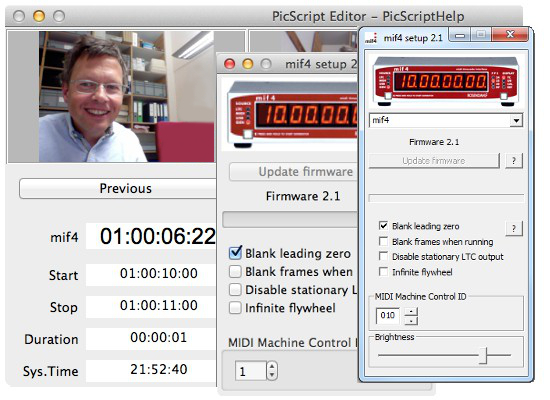 PicScript is a free Mac OSX application for the mif4 midi timecode interface. Capture pictures with timecode data and write your comments. 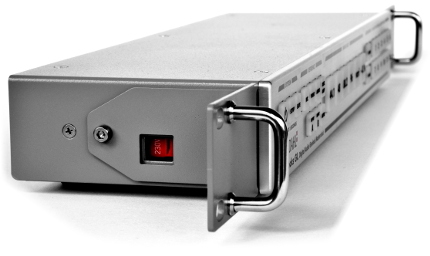 Play back logs manually or chase external timecode. Show pictures in full screen mode. Please find downloads on the mif4 product page. Version 1.1 can be configured at startup using command line options. See enclosed mmc_11_readme.txt file for more information. The programme sends MMC transport commands to control mif 4 or any other MMC-controllable device and displays returned MTC time code. bonsaiDRIVE firmware BF00.63.zip available for download. New nanosyncs remote and configuration software nanoSETUP21.zip for Mac OSX.